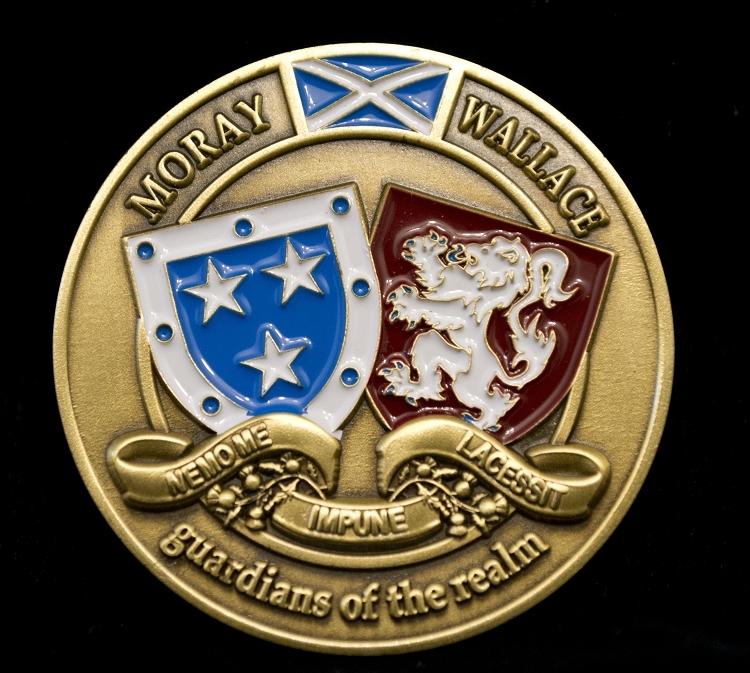 This 1 3/4" x 1/8" High Relief Brass Colored Coin is the second in The Society of William Wallace series of coins depicting Scotland's favorite sons and daughters. This one features Andrew de Moray who along with Wallace fought and won the Battle of Stirling Bridge, sadly De Moray died of the injuries he received that day. 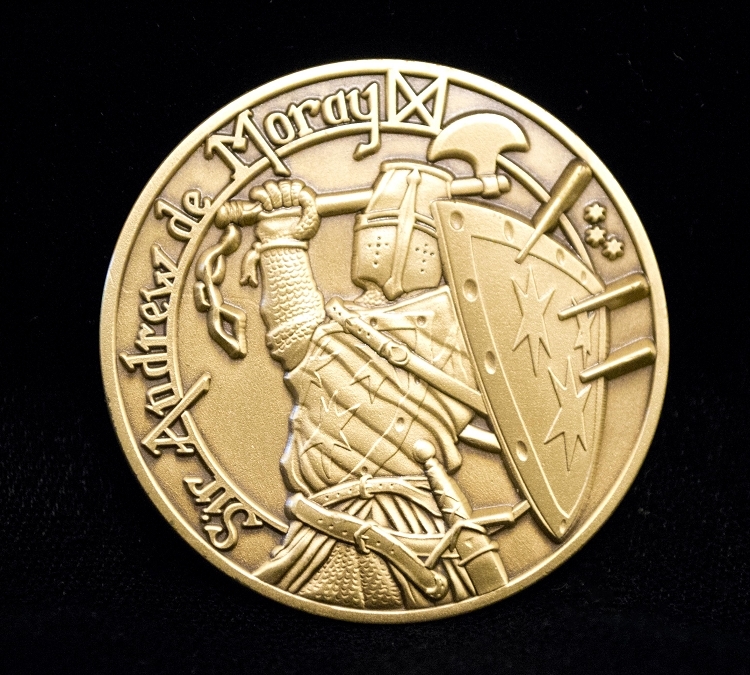 This coin design was specially commissioned by leading Scottish artist Andrew Hillhouse and is unique, we're sure you'll agree that Andrew has done a wonderful job! !